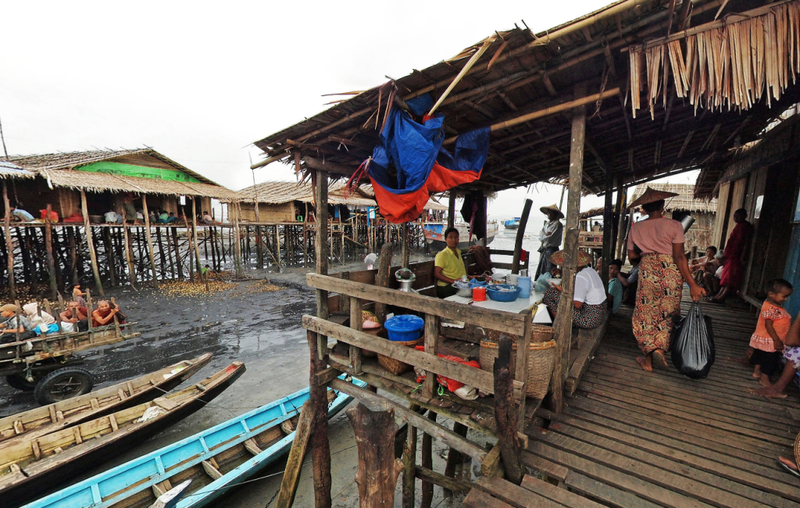 The port of Kyaukpyu at the northern end of Ramree Island. This fishing port is in the process of being transformed into a major international deep-sea port, funded by China and connected by a rail and road network to southern China. Thanks to the photographer, Zibo Wei, for this amazing panoramic taken in June 2011.